5.0 out of 5 starsExcellent value for money! Very very impressed with this product. Fits my Kindle perfectly, does not obstruct any functions. It is light weight and I love the Kindle logo in the front. Excellent value for money. Acceptable quality. But pathetic fit and finish for the kindle e-reader. Feels a bit bulky, fits a little loose and power button is difficult to reach. If all you care is protection for kindle, then it just works. If you are particular about fit and finish, you'll hate it. I thought of returning it from initial impressions. But decided to stay with it after I handled it for sometime. It all boils down to how does it feel to hold while reading and it's comfortable in that aspect. 1.Difficult to use the power button, some times you have to use mother objects to use it. 2. Fitting needs improvement i.e., the edges of the case are raised instead of sticking to Kindle. 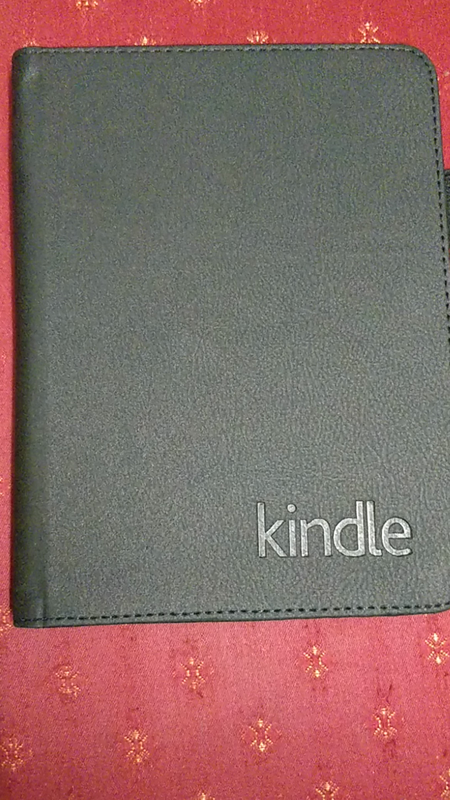 Got this cover for my kindle 8th generation, the quality of the product is okay considering the price, but the fit is awful. Kindle moves around inside the sheath and also the magnetic cover stops working as there are two small magnets given at the open end of the corner which does not make contact once the kindle is inside the sheath. It works well when it is empty :) (so thoughtful). For the price of 375/- it can't be considered value for money. With the current quality and fitting, price should have been around 200/-. This is a great cover and fits perfectly. Instead of spening almost 1k on the cover suggested by amazon for it's 6" kindle. I would suggest you get this. It costs only 348 and is a great product. 5.0 out of 5 starsSatisfied totally from the product. Value for money-3.8/5 found it bit overpriced. Has hidden magnet on out corners. Looks classy. If you are thinking whether to buy it or other then buy this one for sure. 5.0 out of 5 starsGreat buy for you kindle! although the product looks decent, there are flaws in the design. For eg the inconvenience while clicking the only button on Kindle. Apart from that, the fitting is poor. I came to know about the NuPro Slimfit only later. That would have been my first choice even though it's three times the cost.